Palm Sunday, Sunday, April 13th, 8:15am Traditional Service, 9:30am Sunday School, 10:45am Contemporary Service with palm leaf procession. Easter Egg Hunt/BBQ, Saturday, April 19th, 11am—2pm. 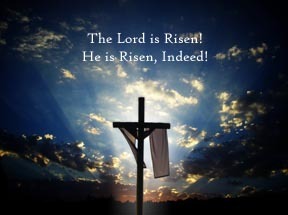 Easter Sunday, Sunday, April 20th, 8:15am Traditional Service, 9:30am Easter Breakfast, 10:45am Contemporary Service.